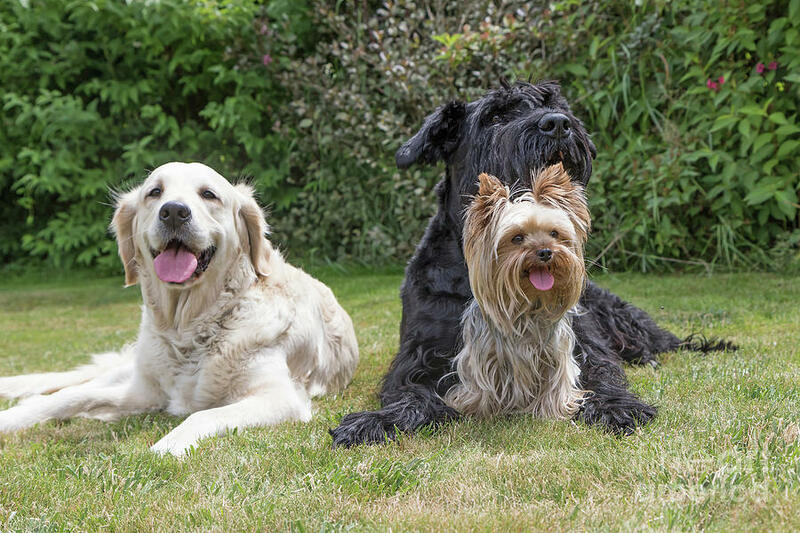 Group Of Three Dogs is a photograph by Jaroslav Frank which was uploaded on July 25th, 2016. 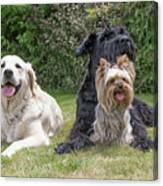 Giant Black Schnauzer, Yorkshire Terrier and Golden Retriever dogs are lying on the lawn. Yorkshire terrier is sitting in front of the Giant Black Schnauzer dog. 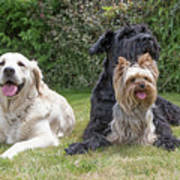 There are no comments for Group Of Three Dogs. Click here to post the first comment.